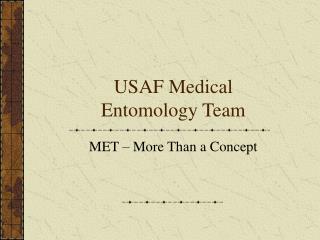 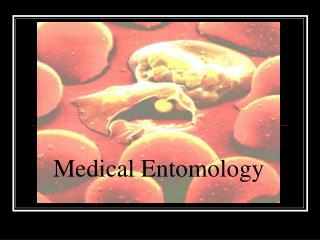 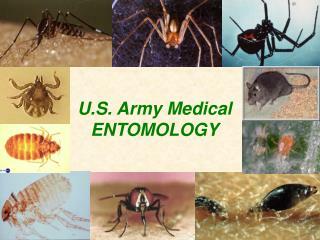 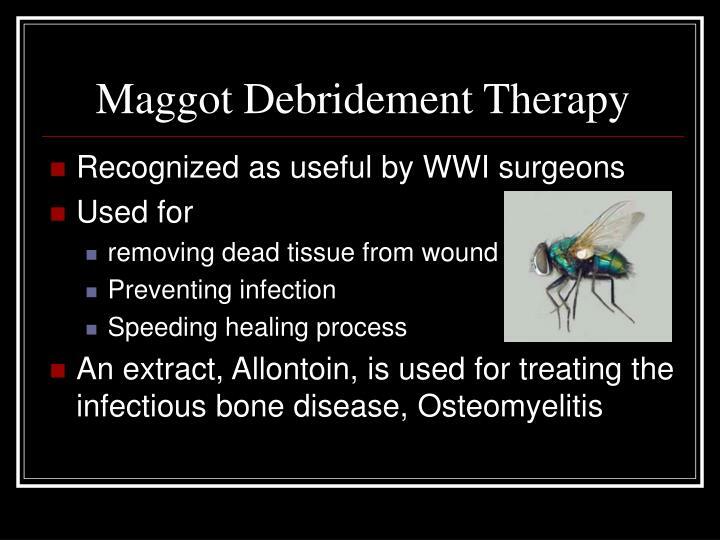 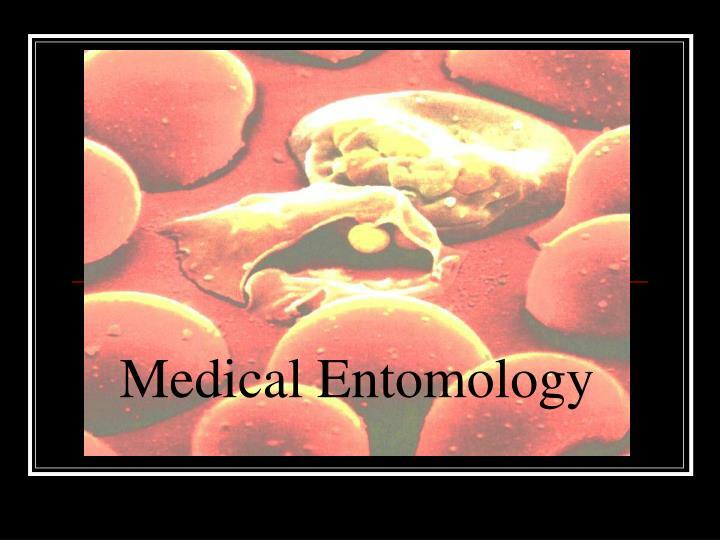 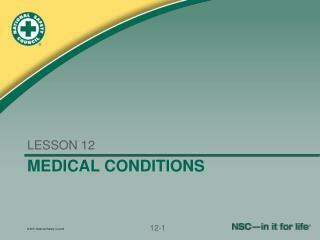 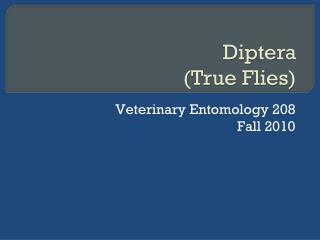 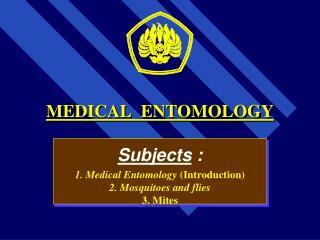 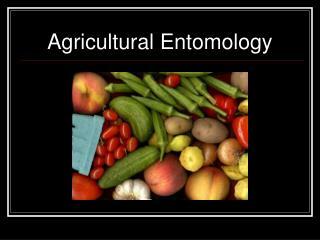 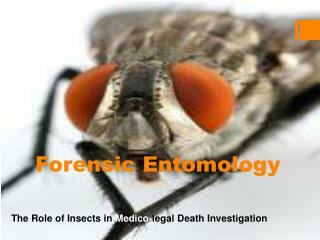 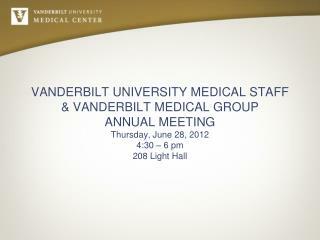 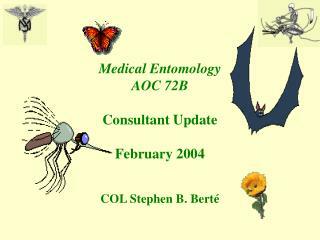 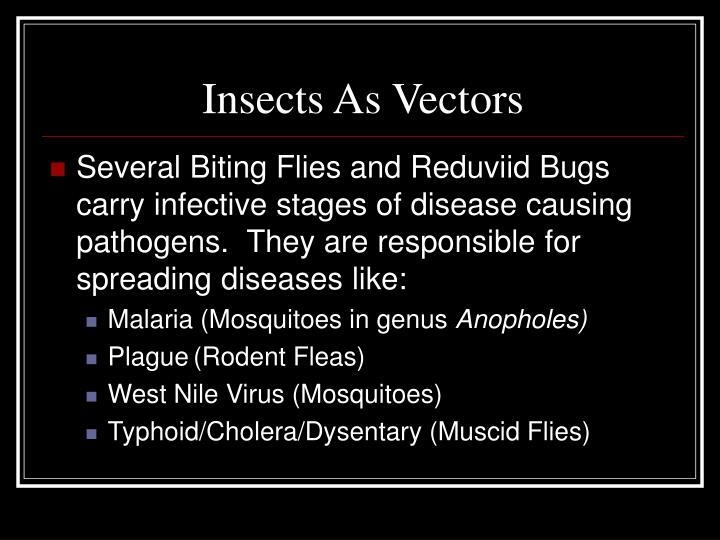 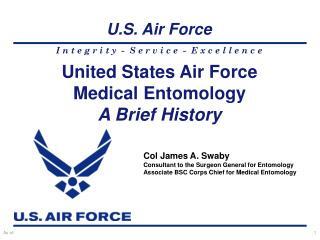 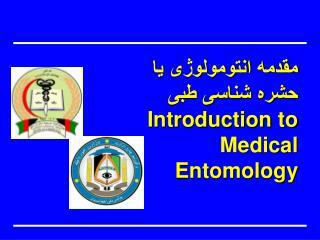 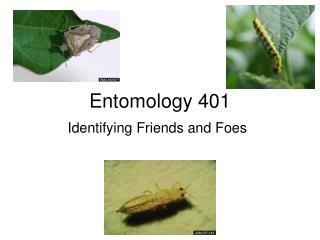 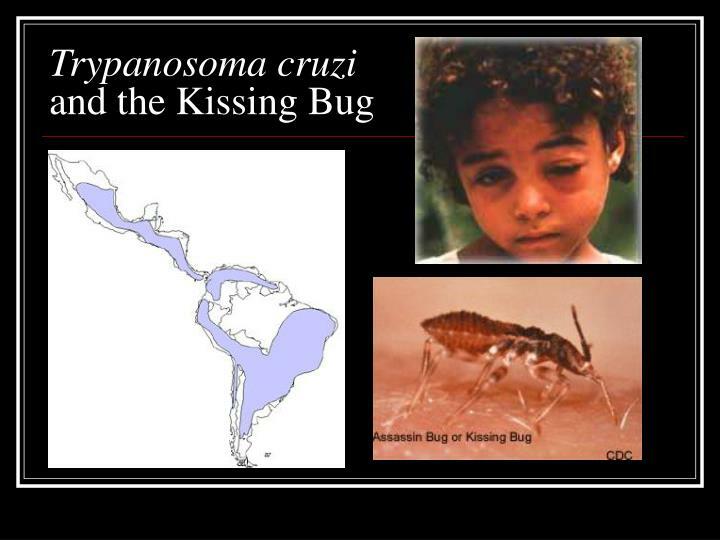 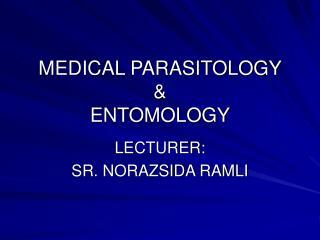 Medical Entomology. 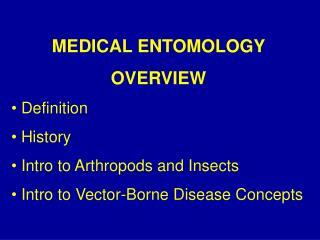 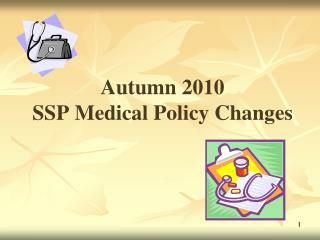 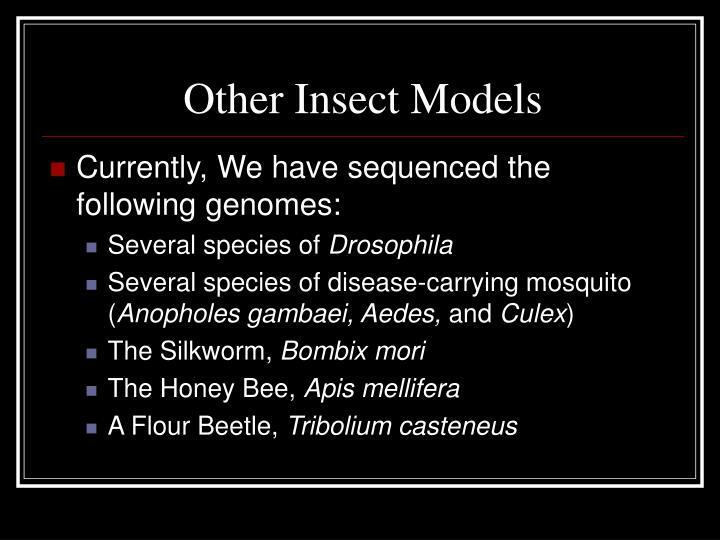 Insects of Medical Importance. 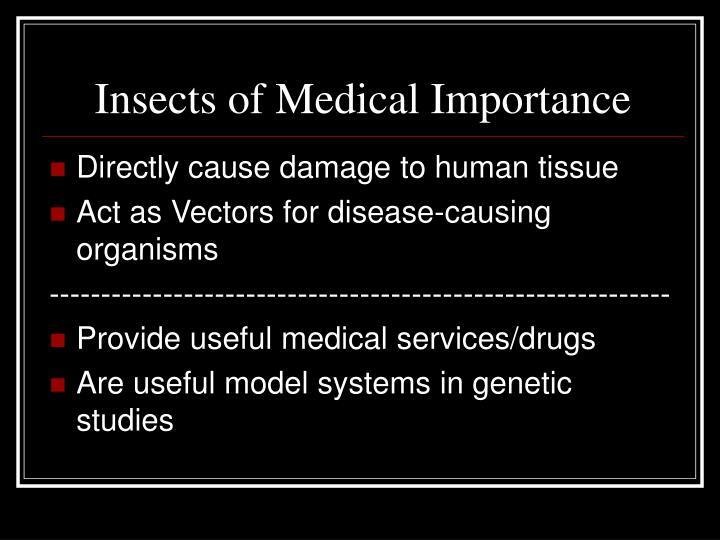 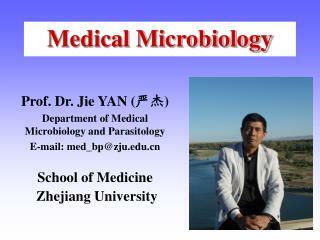 Directly cause damage to human tissue Act as Vectors for disease-causing organisms ------------------------------------------------------------ Provide useful medical services/drugs Are useful model systems in genetic studies. 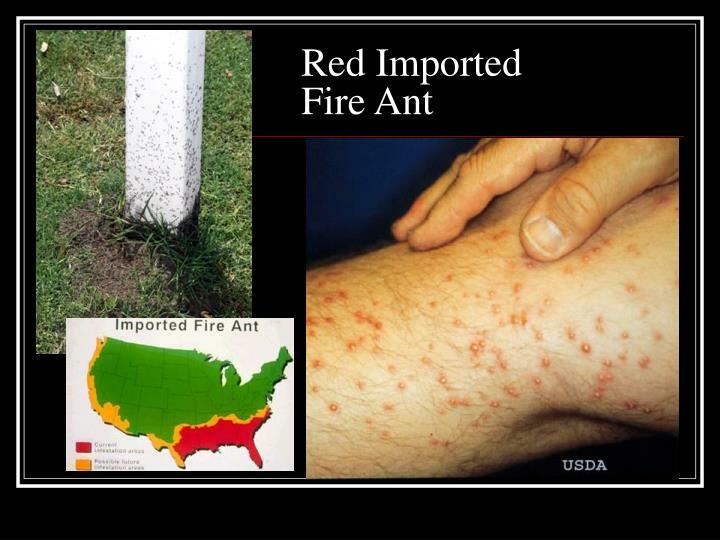 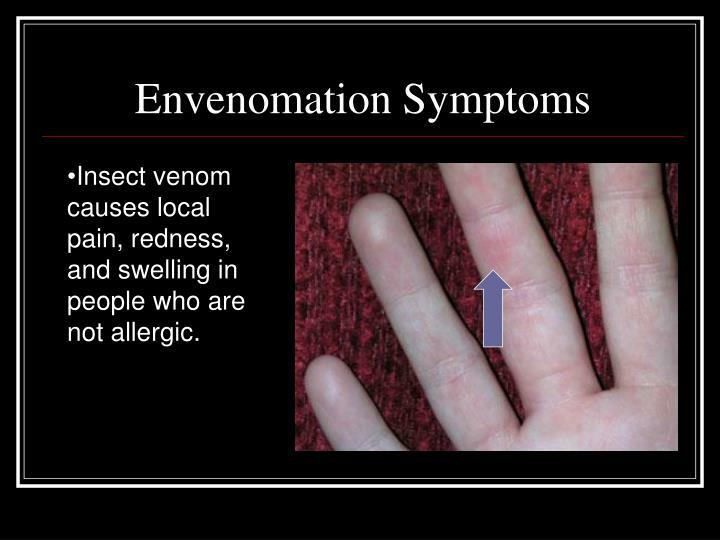 Insect venom causes local pain, redness, and swelling in people who are not allergic. 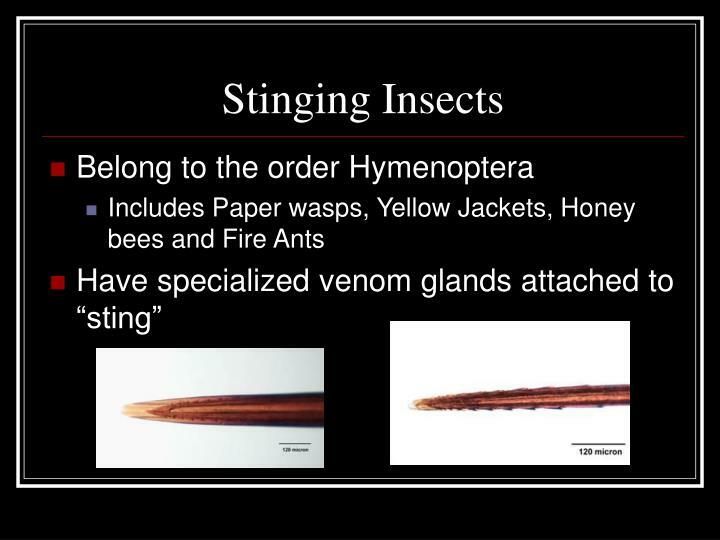 Antibodies to venom over-react and produce chemicals (like histamines) that can damage neighboring cells. 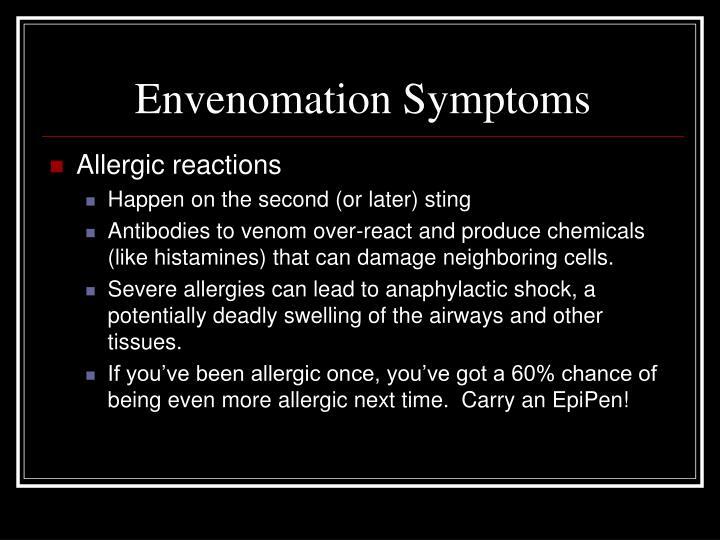 Severe allergies can lead to anaphylactic shock, a potentially deadly swelling of the airways and other tissues. 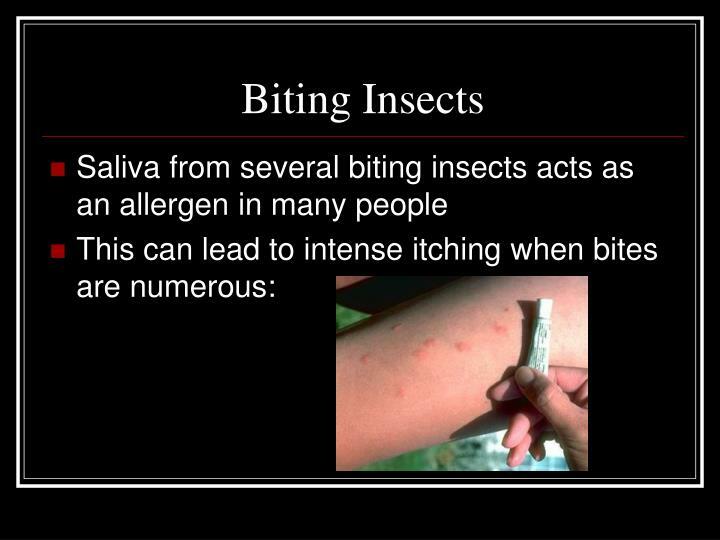 If you’ve been allergic once, you’ve got a 60% chance of being even more allergic next time. 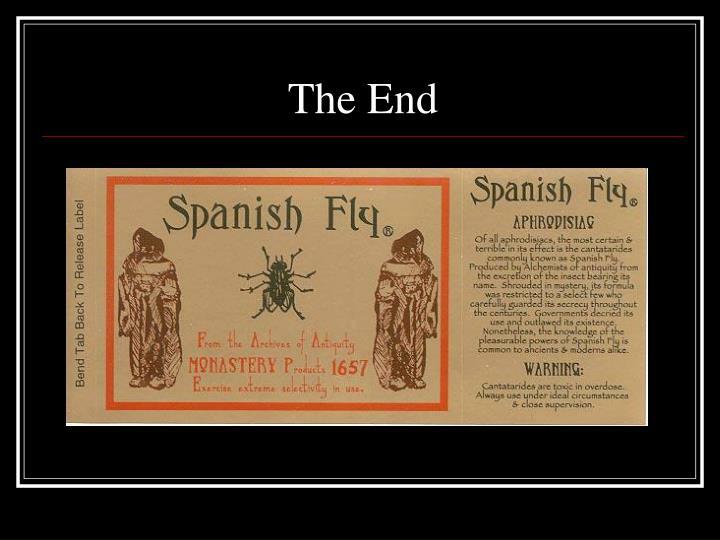 Carry an EpiPen! 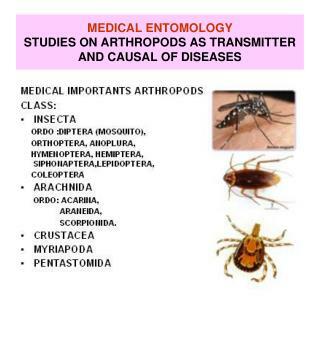 Anopholes sp. 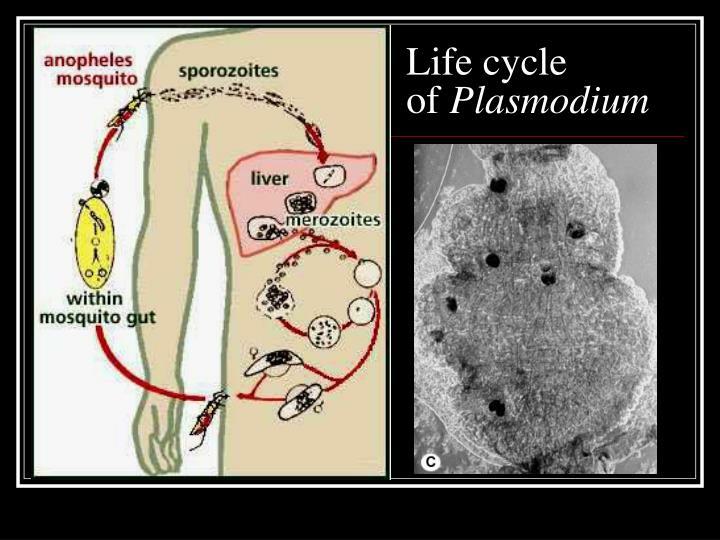 Mosquitoes transmit the infective stage of Plasmodium to people. 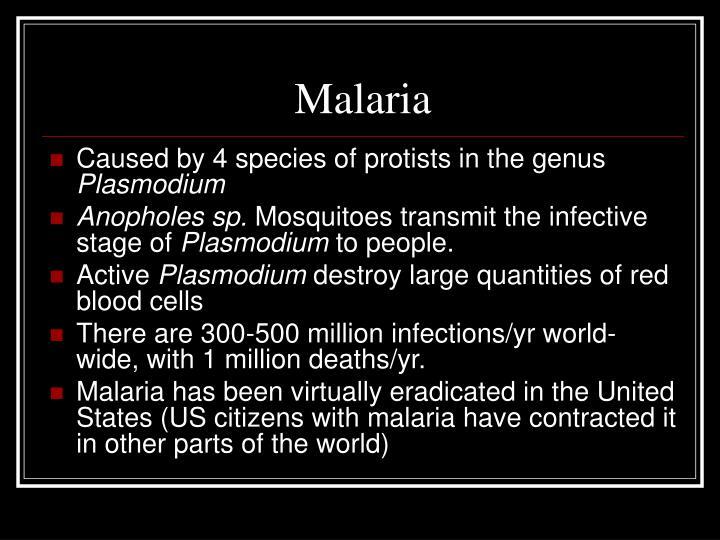 There are 300-500 million infections/yr world-wide, with 1 million deaths/yr. 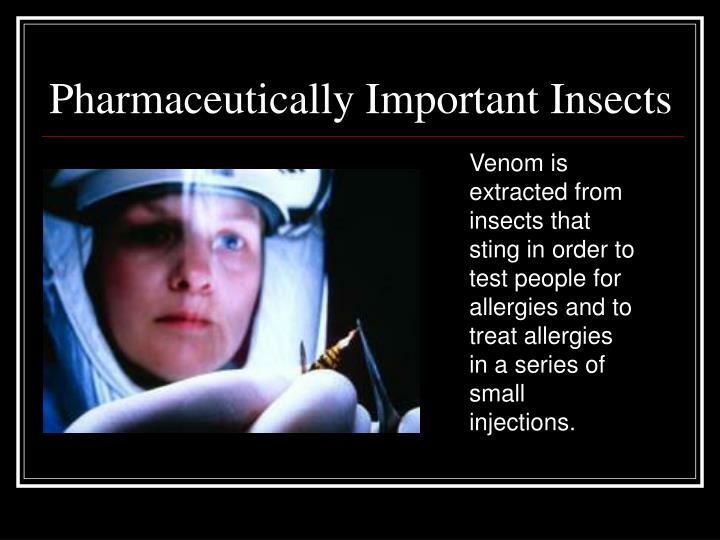 Venom is extracted from insects that sting in order to test people for allergies and to treat allergies in a series of small injections. 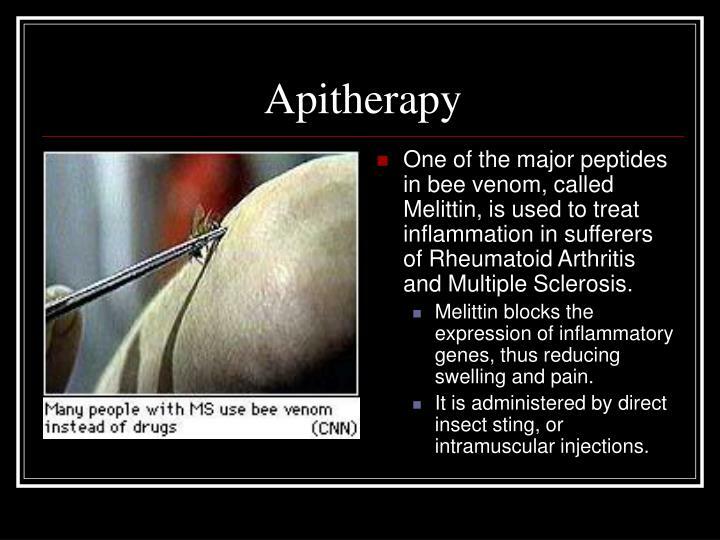 One of the major peptides in bee venom, called Melittin, is used to treat inflammation in sufferers of Rheumatoid Arthritis and Multiple Sclerosis. 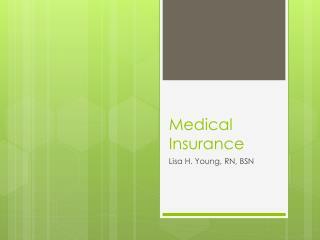 Melittin blocks the expression of inflammatory genes, thus reducing swelling and pain. 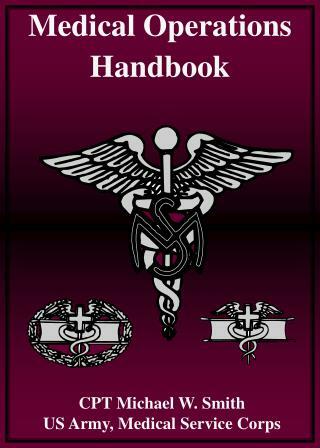 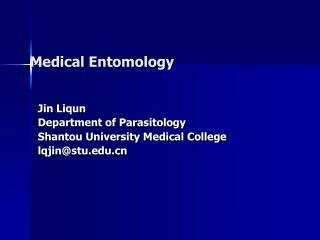 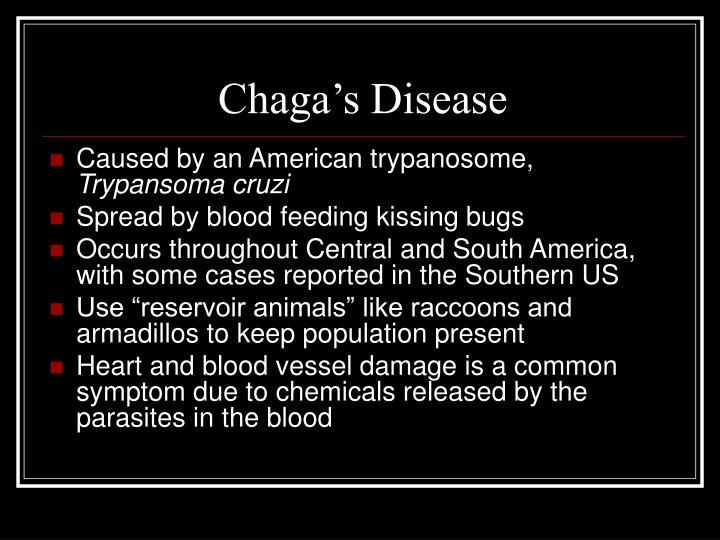 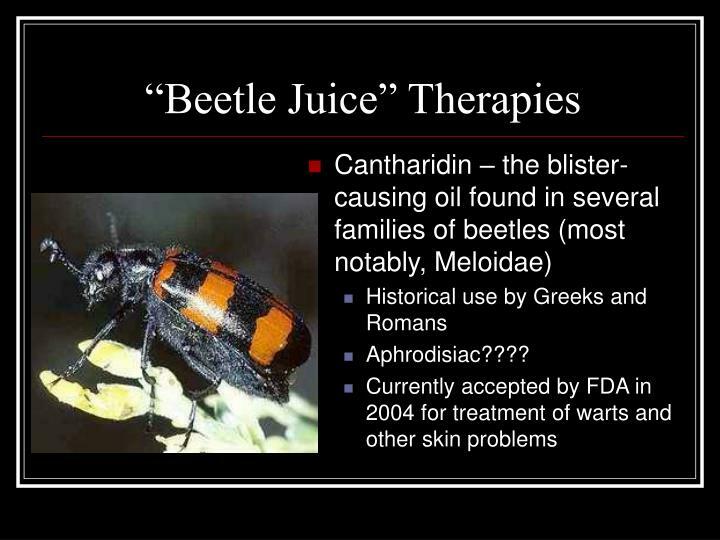 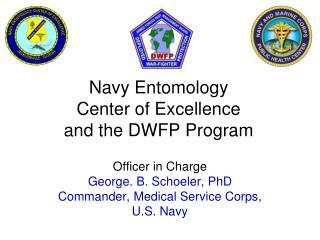 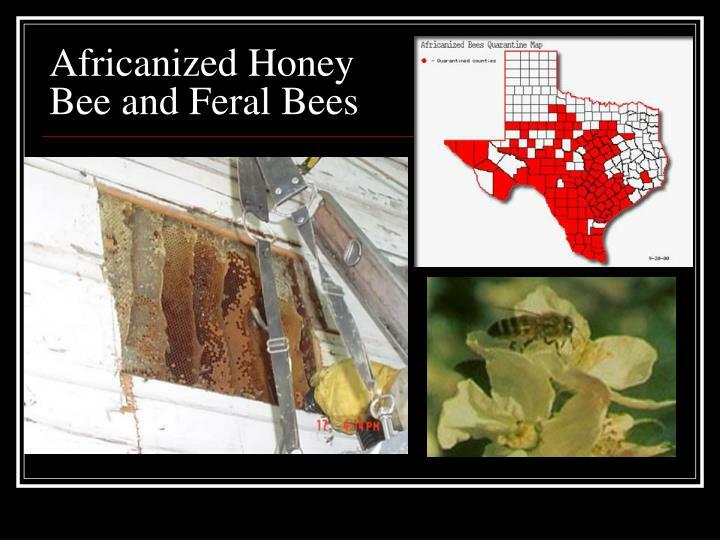 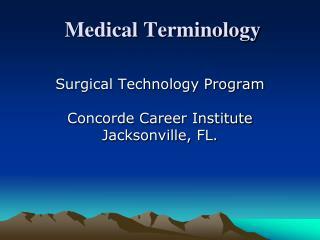 It is administered by direct insect sting, or intramuscular injections. 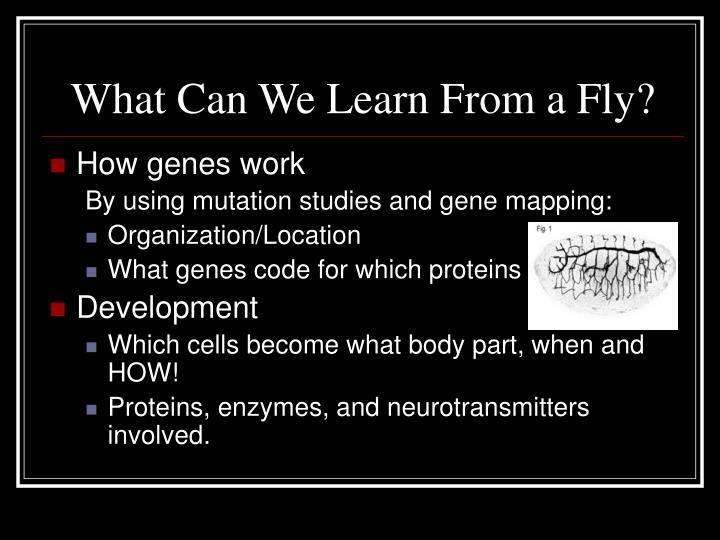 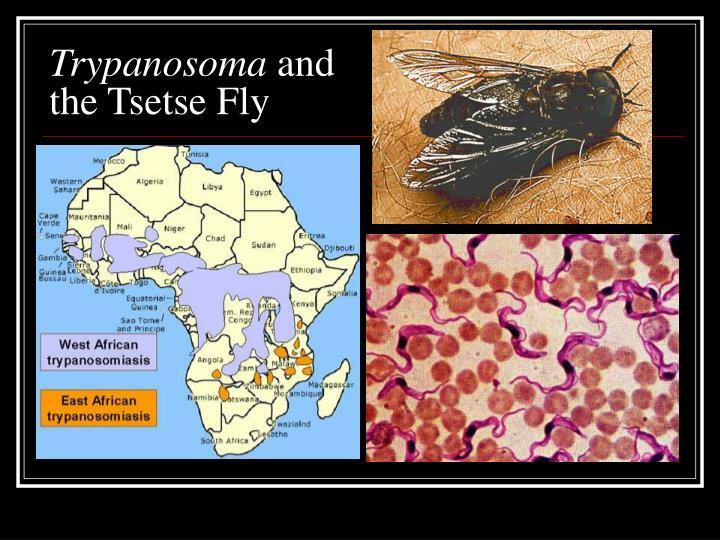 What Can We Learn From a Fly? 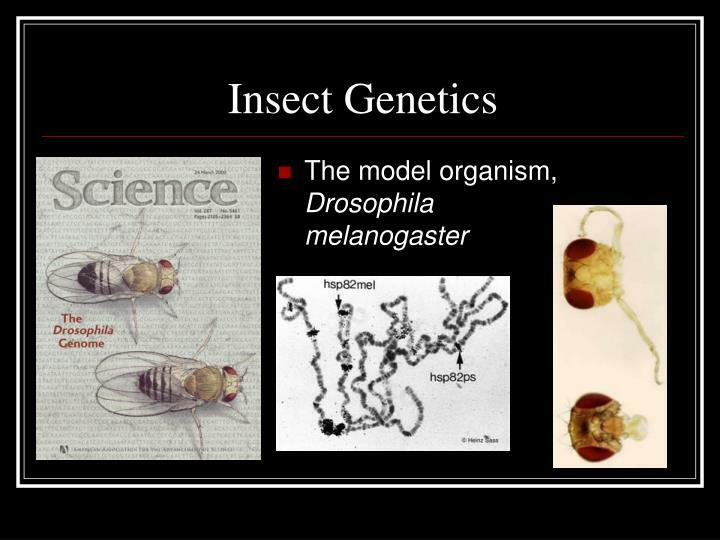 Which cells become what body part, when and HOW! 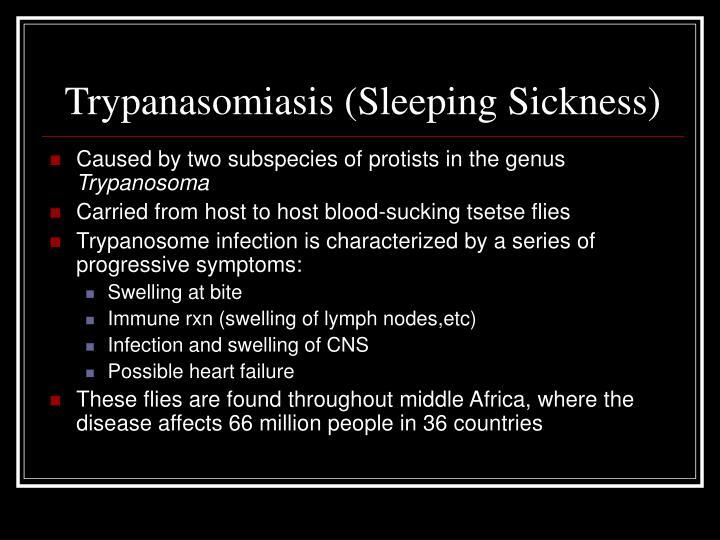 Proteins, enzymes, and neurotransmitters involved.